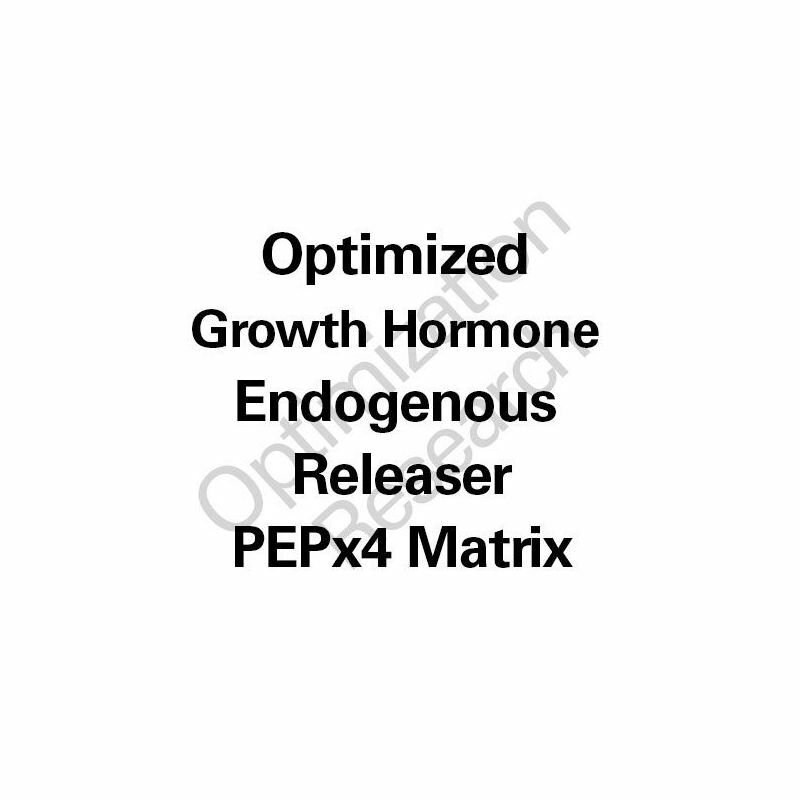 Optimized for Maximal Endogenous Growth Hormone Release, O-GHeR(TM) comprises four peptides in a ratio to optimize a sustained release of growth hormone via enhanced endogenous production. Optimized for Maximal Endogenous Growth Hormone Release for in vivo research applications, O-GHeR(TM) comprises four peptides in a ratio to optimize a sustained release of growth hormone via enhanced endogenous production. Application of dose arms at 410mcg, 615 mcg, and 820mcg once to thrice daily are intended to be trialed.